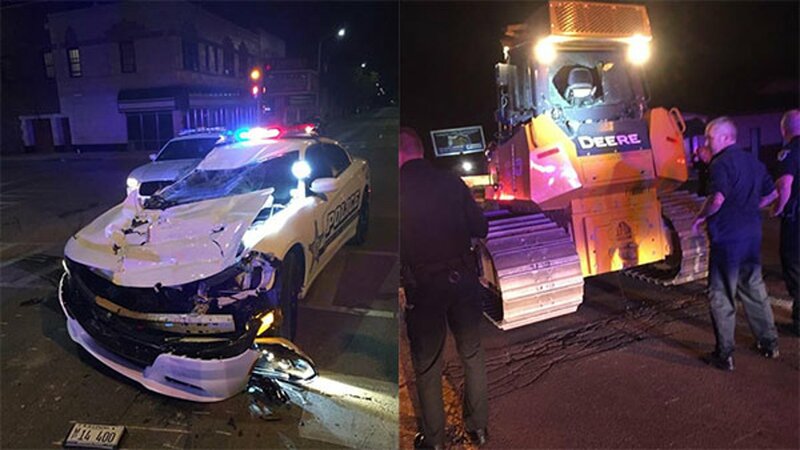 KANKAKEE, Illinois -- A Bourbonnais, Illinois man stole a bulldozer in far south suburban Kankakee and drove it around the streets, backing over a squad car when officers tried to stop him, police said. The bulldozer was stolen from a construction site in Bradley, and driven for four and a half miles before White was stopped, police said. Charges are pending.